Baton Rouge – Legislation to control DOTD’s operating budget and raise more revenue to fix Louisiana’s roads and bridges has been filed by State Representative Steve Carter (R-Baton Rouge). The bill, HB 542, ratchets down DOTD’s current use of the existing fuel tax for operating expenses. The bill simultaneously increases new revenue for highways through a fuel tax increase, rededication of existing sales tax, and new registration fees on electric and hybrid vehicles. It has been thirty years since state lawmakers have passed a major reform and investment package for Louisiana’s roads and bridges. Over that period, rising costs have eroded the value of the fuel tax while DOTD’s operating budget has also been allowed to grow each year. This bill ensures 8 cents of taxpayers existing fuel tax are invested back into road and bridge preservation and construction by 2025. Central to the coalition’s proposal is the utilization of the new “Construction Subfund” (lockbox) of the Transportation Trust Fund. The “lockbox” ensures dollars deposited in the “lockbox” go directly to projects. Voters approved this constitutional amendment in 2017, protecting highway dollars from any DOTD employee costs. In addition to the key reform measures, HB 542 increases the state gasoline tax by 6 cents in 2019 and the state diesel tax by 4 cents. Both taxes will increase by two cents every two years through 2031, with no increases beyond that time. Other legislation, HB 217 by Rep. Walt Leger, increases truck permit fees to justify the off-set between gasoline and diesel. The bill establishes a $300 fee on electric vehicles and a $200 fee on hybrids, rates that are consistent with what regular vehicles pay in fuel taxes. As a supplement to the core revenue measures, the bill also rededicates portions of the existing .45 cent “new” sales tax to transportation through 2025. The legislation also prioritizes and pays for several signature capacity infrastructure projects including a new Mississippi River bridge at Baton Rouge, a new I-10 bridge across the Calcasieu River at Lake Charles, the completion of I-49 South from Lafayette to New Orleans, the widening of I-12 from Baton Rouge to the Mississippi State Line, widening of I-20 at Shreveport and Bossier City, widening of I-20 at Monroe and access improvements to the Port of New Orleans. HB 542 dedicates 60 percent of revenues to preservation, financing a robust statewide bridge replacement program aimed at constructing hundreds of new bridges in rural Louisiana along many of the state’s non-interstate highways. The Louisiana Coalition to Fix Our Roads consists of over 100 businesses, Chambers of Commerce and trade associations across Louisiana, a group that has come together to ask drivers and the public in general to join them in their efforts to rally lawmakers to pass a comprehensive plan to make our current roads and bridges safe, meet the state’s growing transportation needs and improve our quality of life in Louisiana. 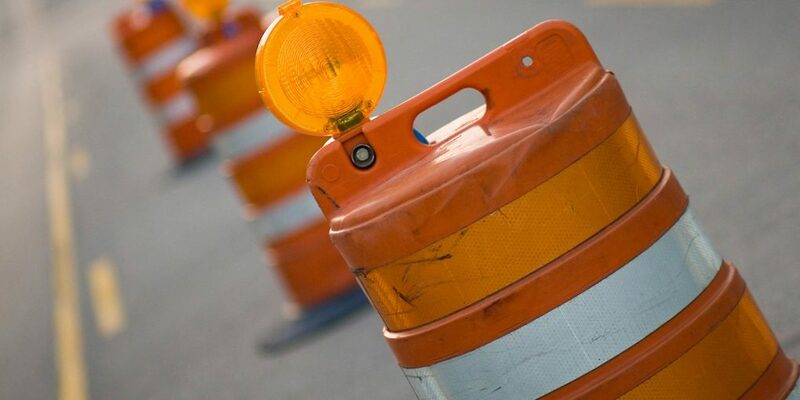 Lawmakers will return to the capital on April 8 for the 2019 legislative session where Rep. Carter‘s bill will be considered along with other legislation aimed at fixing and improving the state’s roads and bridges.